If you've been watching the new season of The Bachelorette, which was filmed largely in Charlotte, perhaps you've caught the reality show dating bug. If so, you could be in luck with one of two casting/recruiting events this week. 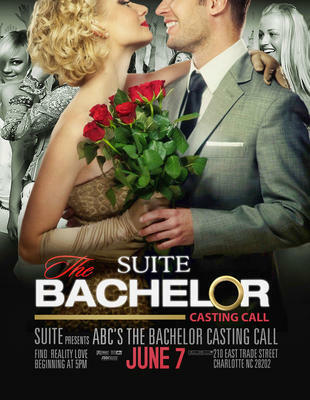 This Thursday during the popular Alive After Five event, producers from The Bachelor will hold an open casting call for single women, taking place 5 p.m. to 9 p.m. at Suite, 210 E. Trade St., at the EpiCentre. Think the odds won't be in your favor to make the cut for the ABC reality show? Keep in mind that Emily Maynard from Charlotte, who's currently starring in The Bachelorette, not only was a contestant on The Bachelor in 2011 but was the eventual winner (though her and Bachelor Brad Womack soon broke up). Celebrity matchmaker Jasmine Diaz is coming to Charlotte to recruit the city’s most eligible, single, successful African-American men. If you’re single and looking, and between the ages of 35 and 45, this will be your opportunity to connect with the matchmaker for free. 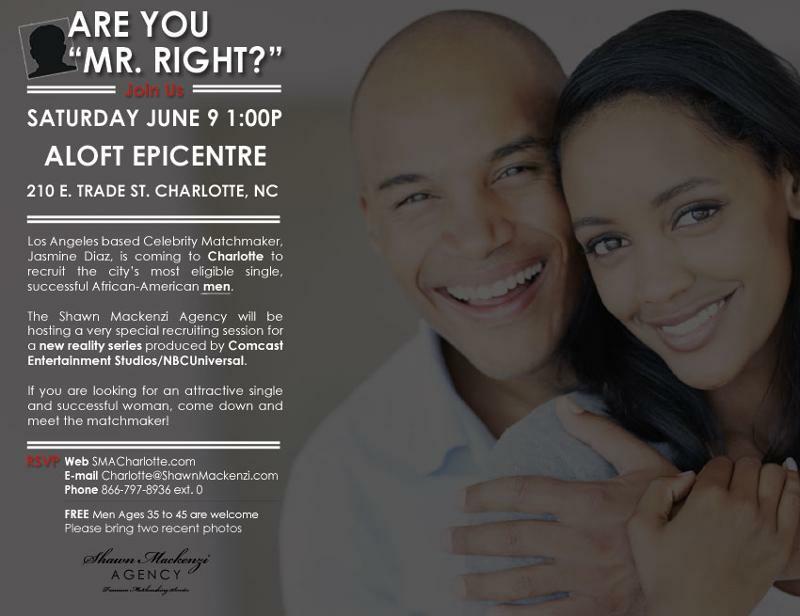 The Shawn Mackenzi Agency, a Los Angeles-based matchmaking company that specializes in matching affluent African-Americans and Latinos, is hosting a special recruiting session that will be taped for a new reality series being produced by Comcast Entertainment Studios / NBCUniversal. The event takes place this Saturday, 1 p.m., at Aloft Charlotte Uptown Hotel. 210 E. Trade St., at the EpiCentre. Click here to RSVP.